Back to The Unremembered Girl. It’s dark and profoundly sad. It’s grim and even gruesome at times; it haunts me. 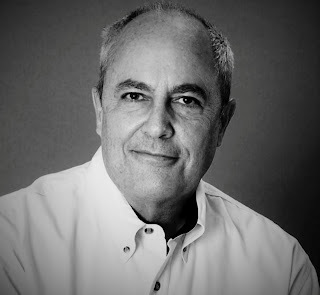 Main character Henry doesn’t do the right thing; he doesn't act the right way. He's HUMAN. So many times, I thought, no, no -- don't do that, Henry. There's an easier way… this is gonna backfire. But Henry didn’t listen to me. He's often misguided in his sacrifices, but he always acts out of putting others' needs first. Always. His and Eve’s relationship is magnetic but not really explained. It just is, and we must accept that. This might bother some readers, but for me it worked. Sometimes life and feelings defy explanation. 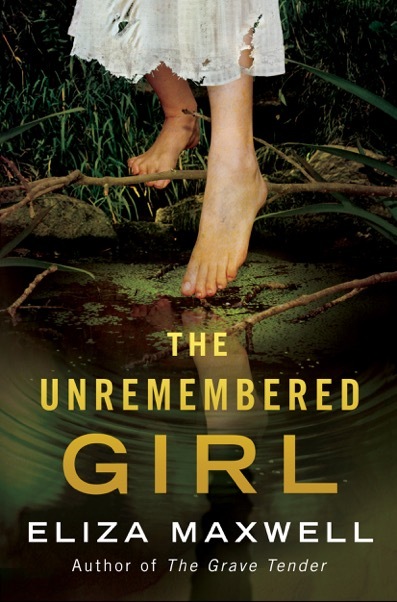 The Unremembered Girl unfolds in a time period that is sketchy to grasp -- but I think that was good for where they characters are living in swampy Texas, where time kind of stands still a bit. Things remain the same and are done a certain way because it always has been that way. The book is cleanly edited and very well written. I like that the very short chapters each encapsulate a specific event. You read, you reel, and then you return for more. The story is a bit addictive. Thank you to the author, my friend, for providing me a beautiful print copy as a gift with absolutely no strings attached. I devoured it and give my honest opinion in the hope that others will read it and read this book and be moved by it. 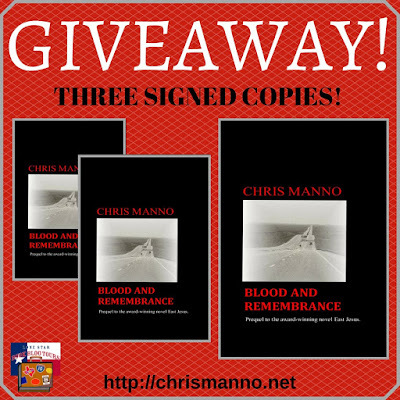 Blood and Remembrance ~ Blog Tour, Review, & Giveaway! 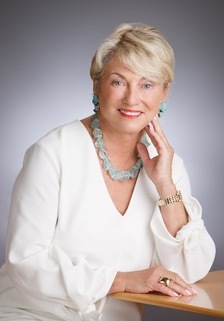 You know how it feels when there’s an afternoon, late spring storm brewing -- the clouds are roiling, the pressure changes, there’s electricity in the air? There might be a little break in the heat or in the clouds, but the sky is darkening, darkening with a likely funnel or two in the works. The waiting makes you uneasy, anxious even. THAT is how it feels reading Blood and Remembrance by Chris Manno. Storms are swirling around the lives of a wide cast of characters, and it seems unlikely any of them will survive unscathed. Blood and Remembrance is the prequel to East Jesus, which I read about two years ago, and which I now need to re-read. BAR reveals the juicy small-town tidbits that clarify how the characters ended-up in the lives they lead in EJ, some seventeen years later. Some characters were messed-up and dysfunctional from the start; others had some light and hope in their lives, and goals for bigger and better things. But the oppression and consequences of bad choices and lack of ambition dim or extinguish most everything good. Sound grim? It is. 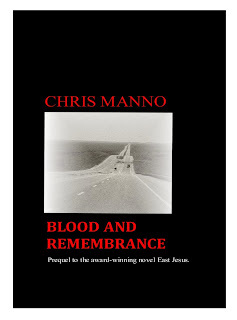 Just as East Jesus has a mind-blowing ending, Blood and Remembrance begins with a brutal, attention grabbing start that has the reader reeling. 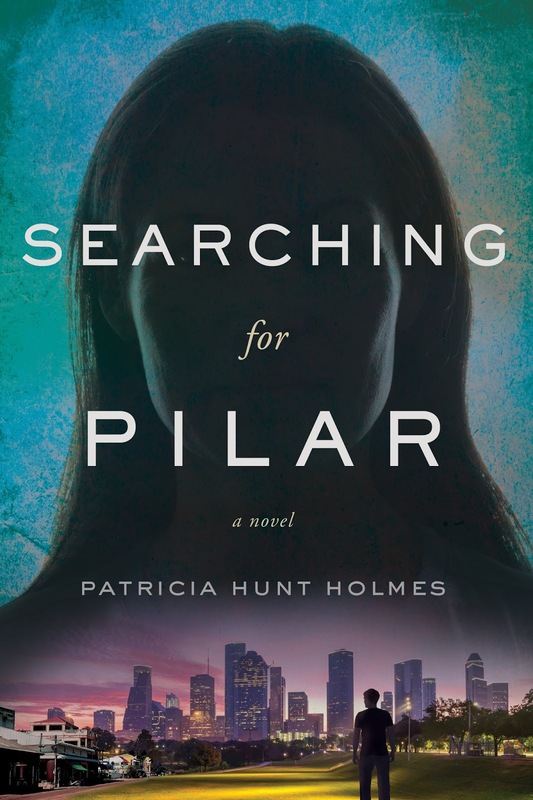 From Huntsville to Rattlesnake Gulch, Texas, the characters in the story are their own worst enemies and seem to be on a crash-course with their bleak destinies. 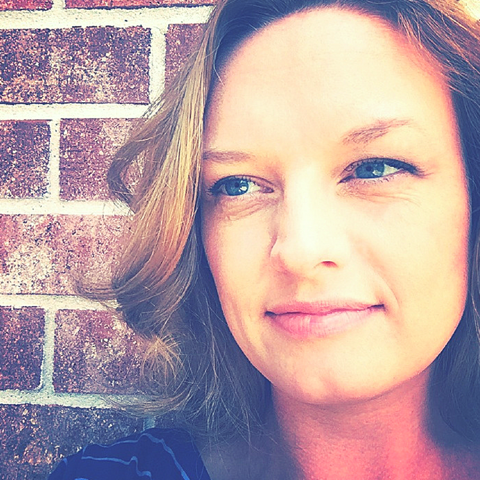 Readers will find themselves wanting to shout, “DON’T DO IT,” over and over again. And since the story is told from multiple points of view, each chapter brings new opportunities and new train wrecks looming on the horizon. Grim? Yes. Bleak? Yes. Riveting? Absolutely. 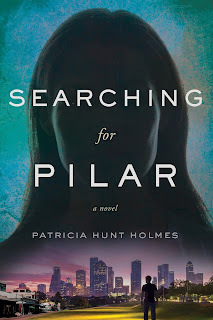 The characters are richly drawn and so real that you carry their troubles with you when you aren’t reading. Author Chris Manno fleshes-out the quirks and complications of each personality, and he layers those over descriptions of time and place that put readers right into the story. Manno makes liberal use of similes and metaphors, but sometimes the frequency takes the punch out of those that are superbly done. He writes some beautiful, truly lyrical descriptions and has some that are so familiar, I snorted at the recognition. "Mrs. Hogg kicked the organ into gear with a wheezy note that chugged into the hymn like an engine flooded, tentative, ungraceful, but eventually firing and catching hold." The Grammar Policewoman in me struggled a bit. (Curse or a blessing, the badge is always on.) I reviewed a "near final" ARC of Blood and Remembrance, and it was a long way from being ready for prime time due to numerous typos and usage errors. My hope (and expectation) is that the final version will be cleanly edited, but the SPAG issues detract and distract nonetheless. (I imagine I will buy a final print copy (*Must always have same format and complete sets on the shelf. MUST. *) and will update this review accordingly. Whether reading Blood and Remembrance before East Jesus, or vice-versa, I highly recommend reading them back-to-back for a reading experience unlike any other. WOW. Even two years and literally hundreds of books later, East Jesus has stuck with me – and I fully expect Blood and Remembrance to do the same. 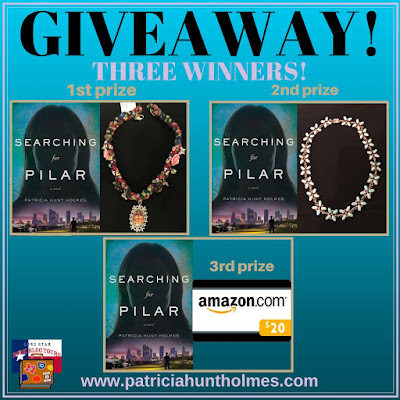 Thank you to the author and Lone Star Book Blog Tours for providing me an eBook ARC in exchange for my honest opinion – the only kind I give. 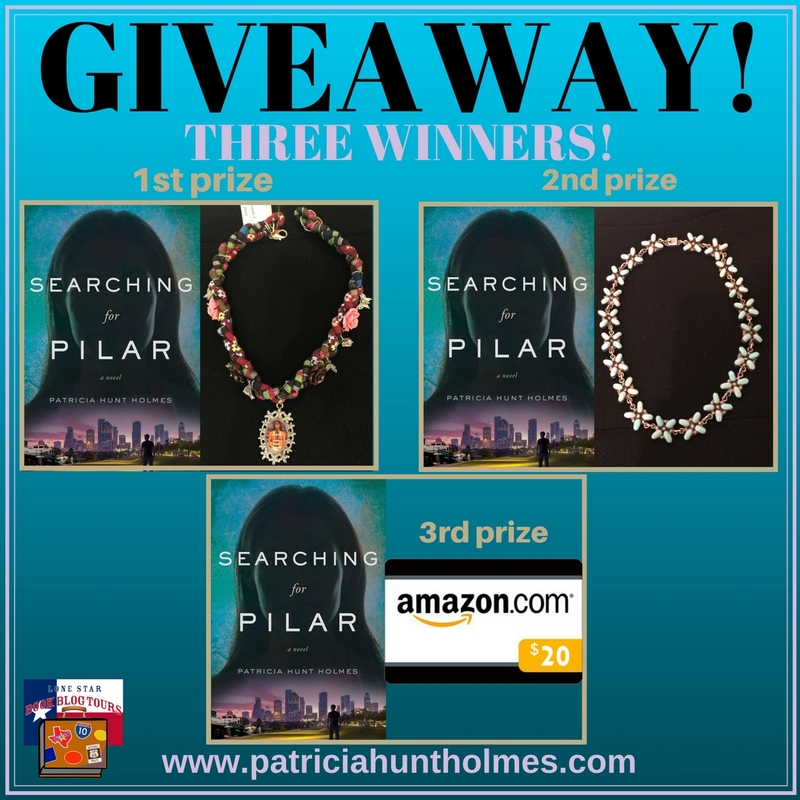 Searching for Pilar ~ Lone Star Book Blog Tours Promo & Giveaway!